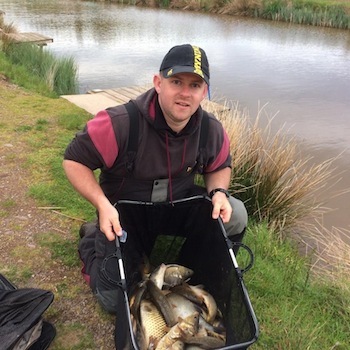 Northern Angling Show 7, Manchester, 23/24 February 2019, we are on Stand number 235. The Big One Stoneleigh Park, Coventry, 13/14 april 2019, we are on Stnd number 48. Our summer holiday is between 9th of June and 20th of June 2019, in this time period the orders will not be posted. DO YOU WANT TO PAY BY CARD BECAUSE YOU DON`T HAVE A PAYPAL ACCOUNT? YOU CAN DO IT THROUGH PAYPAL!!! AND ADD YOUR PRESONAL/CARD DETAILS. EASY AND SAFE! BECAUSE ALL GOES THROUGH PAYPAL! BUYERS FROM OUTSIDE THE UK NEED TO CONTACT FIRST BEFORE PLACING AN ORDER TO GET A QUOTE FOR THE POSTAGE COST. IN MY WEBSHOP THE POSTAGE COST ONLY CALCULATED WITHIN THE UK, SO NEED TO DISCUSS ANY ADDITIONAL COST. THANKS FOR UNDERSTANDING. 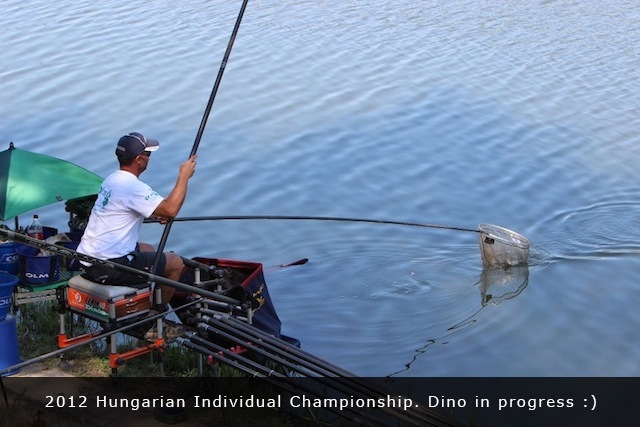 Dino (nickname of Denes Lorincz) is one of the best fishing float brands in Hungary and the owner is member of the Hungarian national team too. 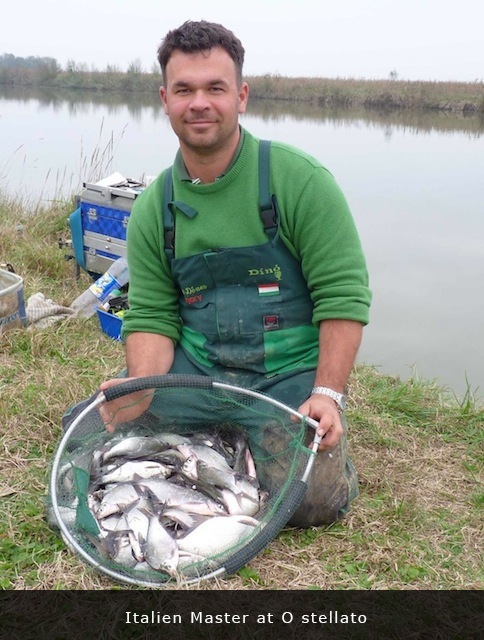 He has many years experience on the fishing float market. The high quality floats are made of the most up-to-date materials using the leading-edge producing technology. High quality is guaranteed for each of their products! Every kind of float is available for all sort of water! Top of all that there is some short description about every product including which kind of method or fish the floats are offered. 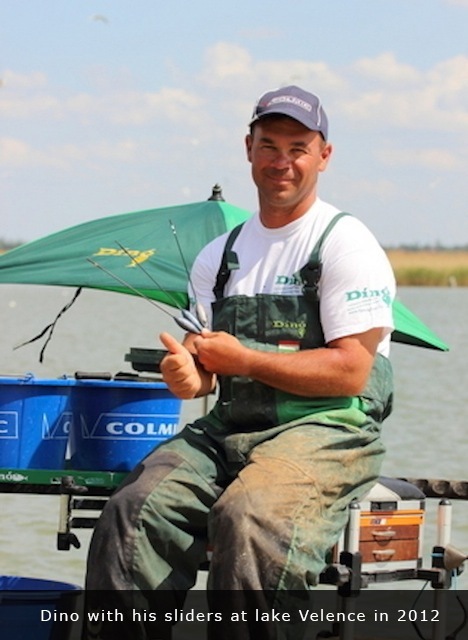 Tackle Shops, Angling Centres, Fishing Clubs and Teams, wholesalers are welcome. Please ask for prices and product availability. 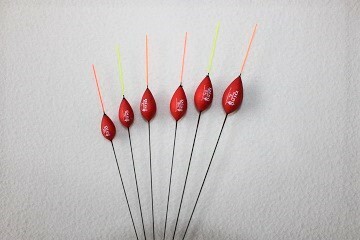 ALL MY FLOATS ARE AVAILABLE FROM GOOD TACKLE SHOPS THROUGHOUT THE UK. IF YOU DONT HAVE A STOCKIST NEARBY, YOU CAN ORDER THROUGH MY ONLINE SHOP OR VIA MAIL ORDER RETAILERS WHICH ARE LISTED IN THE STOCKISTS PAGE. Our new top quality clear silicone set is a must to keep in your rig box. 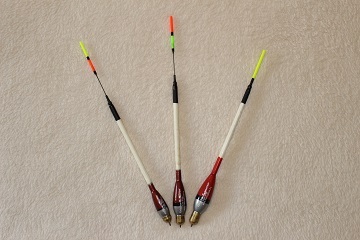 Each set including 4*40cm in the following sizes: 0.3-0.5-0.7-0.9mm. The last size even can be used for stem size 1.2mm. Great value and top quality. Excellent quality, 5*streching, durable color latex from the Dino brand.6 metres each pack. 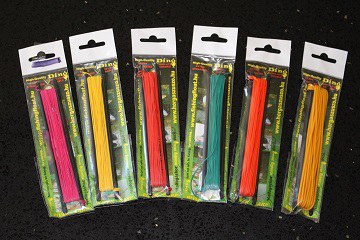 great quality elastic, 5 metre each pack, tremendous power over a wide range,silky smooth ...and very long lasting.7 different sizes from the thin silver-fishing hollow elastic up to the solid and strong hollow elastic for big carp fishing. 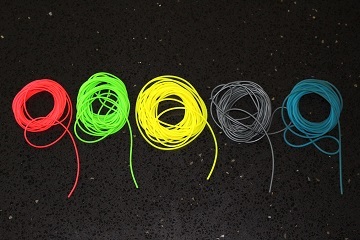 Finally in stock in 4 different sizes (0.5mm, 0.6 mm, 0.8 mm, 1.0 mm) each pack in 1 metre in lenght. 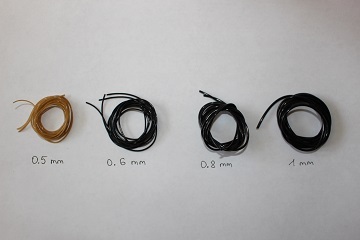 The 0.5 mm diameter in brown colour, all the others are black. top quality !! 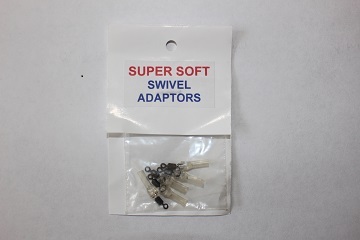 Finally in stock these great slider adaptors. they are top quality and perfectly fits with any of our sliders, get them with your Dino slider. 5 pcs in each pack. 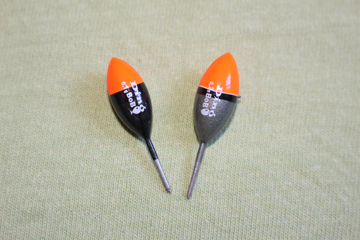 Pencil shape bleak float, also great for squatt fishing, new for 2015! plastic tip and short wire stem. New for 2015! 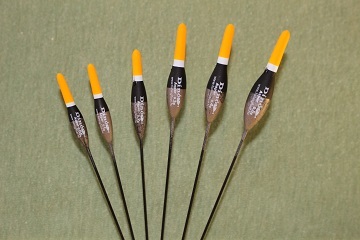 same shape as our Favorit pattern but with fibra tip and carbon stem.Great for canal fishing for skimmer but also for silvers on lakes, commercial. New for 2015! 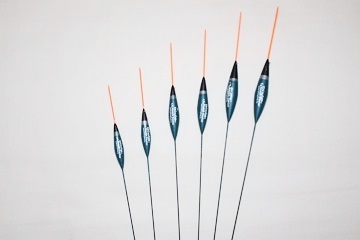 Same shape as our very popular Champion pattern but with long fibra tip and wire stem.Great all-rounder for deep canal (like gloucester canal) or lakes also for slow rivers. 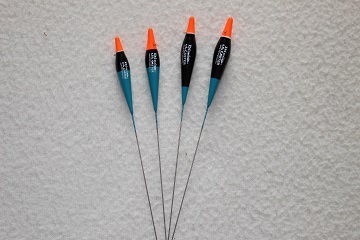 Perfect for canals, slow rivers or stillwaters.The long highly visible bristle makes it easy to spot. 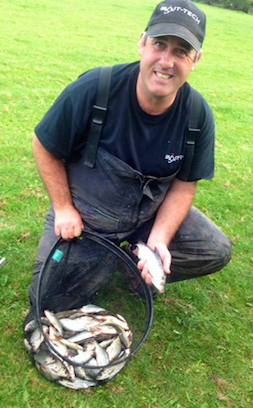 Great floats for all small baits (like magott, pinkies, squatts and bloodworm/joker) and fishing for silver fish. 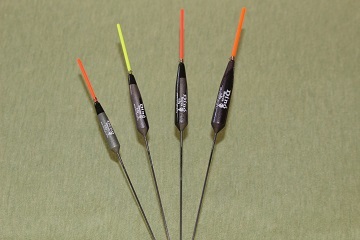 Long carbon stem, fine highly visible plastic tip (red or yellow coloured ). stem diameter regarding the silicone is 0.6 mm. Perfect for canals, slow rivers or stillwaters. The long highly visible bristle makes it easy to spot. 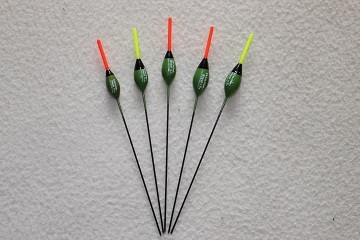 Great floats for all small baits (like magott, pinkies, squatts and bloodworm/joker) and fishing for silver fish.Diamond shaped body, carbon stem, spring-eye, highly visible plastic tip (red or yellow coloured ). stem diameter regarding the silicone is 0.8 mm. Perfect for canals, slow rivers or stillwaters. The long highly visible bristle makes it easy to spot. 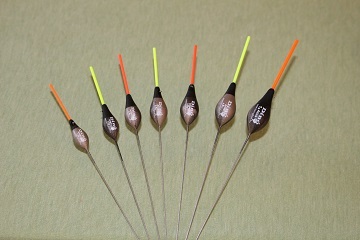 Great floats for all small baits (like magott, pinkies, squatts and bloodworm/joker) and fishing for silver fish.Wire stem, highly visible fibra tip ( red or orange or yellow coloured ). stem diameter regarding the silicone is 0.6 mm. Perfect for canals, slow rivers or stillwaters. The long highly visible bristle makes it easy to spot. 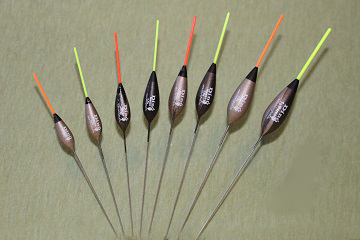 Great floats for all small baits (like magott, pinkies, squatts and bloodworm/joker) and fishing for silver fish.Carbon stem, highly visible fibra tip (red or orange or yellow coloured ). stem diameter regarding the silicone is 0.6 mm, 0.6 gr and above is 0.7 mm diameter. Perfect for canals, slow rivers or stillwaters. The long highly visible bristle makes it easy to spot. 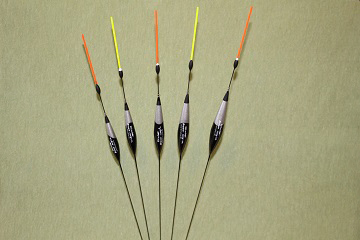 Great floats for all small baits (like magott, pinkies, squatts and bloodworm/joker) and fishing for silver fish.Wire stem, highly visible fibra tip (red or yellow coloured). stem diameter regarding the silicone is 0.6 mm, 1.0 gr and above is 0.7 mm diameter. Perfect for canals, slow rivers or stillwaters. The long highly visible bristle makes it easy to spot. 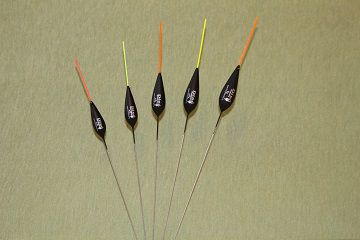 Great floats for all small baits (like magott, pinkies, squatts and bloodworm/joker) and fishing for silver fish, favorit for hemp fishing.Short wire stem, highly visible fibra tip (red or orange or yellow coloured). stem diameter regarding the silicone is 0.5 mm. Perfect for canals, slow rivers or stillwaters. The long highly visible bristle makes it easy to spot. 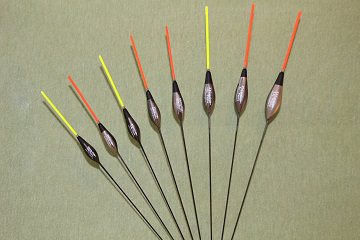 Great floats for all small baits (like magott, pinkies, squatts and bloodworm/joker) and fishing for silver fish.Long carbon stem, highly visible fibra tip ( red or orange or yellow coloured ). stem diameter regarding the silicone is 0.6 mm. This pattern is very similar to the "Premier" pattern but a bit more sensitive. 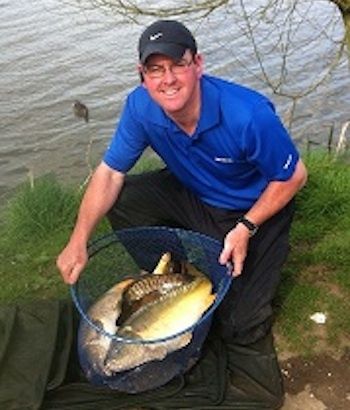 These are ideally suited for still or slowly moving waters with smaller baits. 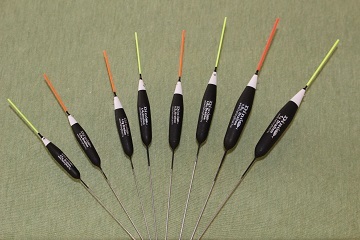 Highly visible fibra bristle with carbon stem which makes it very stable. Excellent "silver fish" pattern. stem diameter regarding the silicone is 0.6 mm diameter. This float will be one of the most popular patterns. 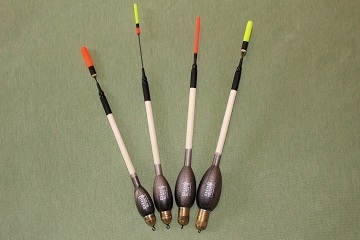 Round bodied float for all types of fishing as rivers, canals and still waters. 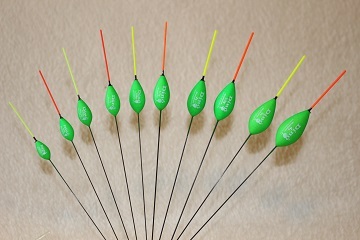 Its sensitive fibre bristle and wire stem make it a truly great all-round float. stem diameter regarding the silicone is 0.6 mm. 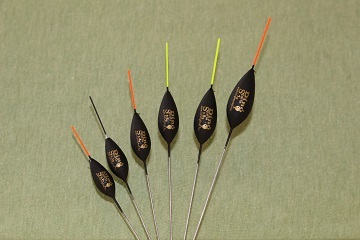 Chi-chi is an all-round silverfish pattern with highly-visible hollo-bristle, solid wire stem which makes the float very stable. stem diameter regarding the silicone is 0.6 mm, above 1.5gr the stem is 0.7 mm diameter. Pampa is a great silver-pattern, with oval shape. 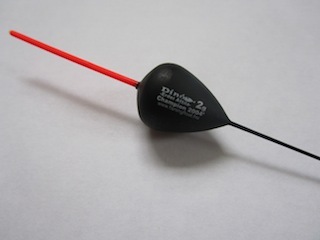 Sensitive float with plastic bristle and wire stem. stem diameter regarding the silicone is 0.6 mm. Genesis is similar like the "Pampa", but a more sensitive version.Plastic bristle and wire stem makes it a great silver-float. stem diameter regarding the silicone is 0.8 mm. Iris has a tear-drop shape which makes it very sensitive. 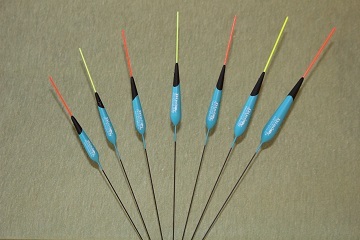 Highly visible fibra-bristle and wire stem. stem diameter regarding the silicone is 0.8 mm. 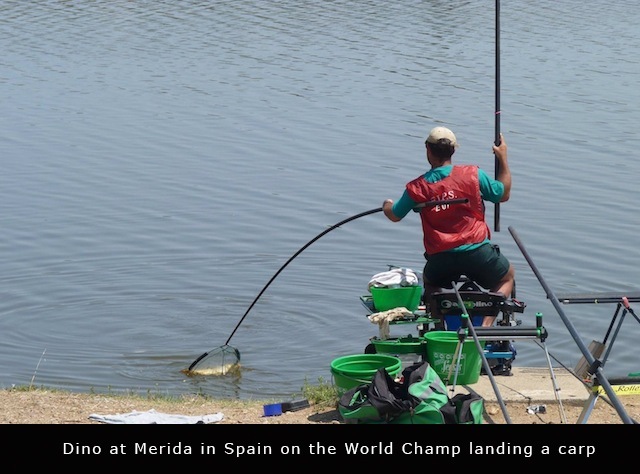 Champion is one of the most popular pattern for whip-fishing. 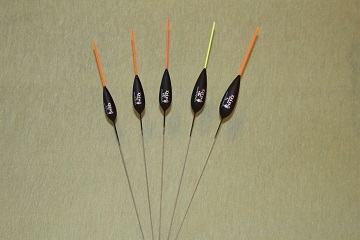 Round shaped body, plastic-bristle and carbon-stem. stem diameter regarding the silicone is 0.6, 1.5 gr and above is 0.8 mm diameter. mm. Viva simply the best silver all-round float with round shaped body. 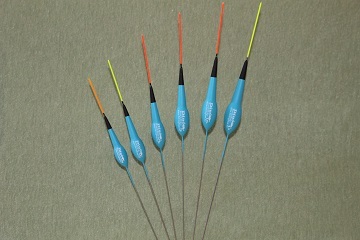 Highly visible hollo-bristle and carbon stem which excelent for calm water. stem diameter regarding the silicone is 1.0 mm. 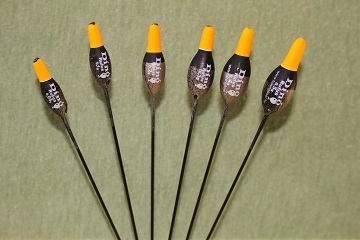 This is a great floats for bream fishing on the bottom, especially when you have lifting-bites.Long carbon bristle with hollow tip and spring eye, also carbon stem. 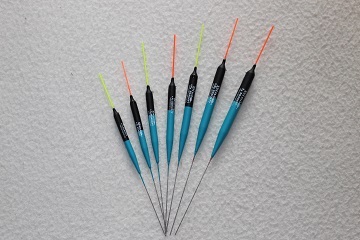 Newly designed pencil shaped silver pattern with long wire stem and highly visible fibra tip.Great choice for canal, lake fishing but ideal float for whip fishing. stem diameter regarding the silicone is 0.6 mm. 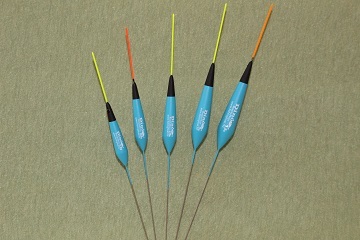 great bleak float with wire stem and fibra tip. stem diameter regarding the silicone is 0.6 mm. 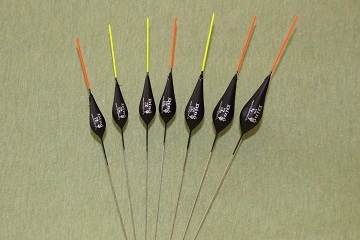 Short pencil shape bleak float with wire stem and fibra tip. stem diameter regarding the silicone is 0.6 mm. 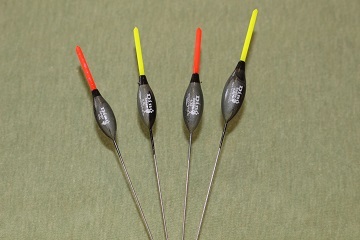 Round bodied bleak float with witre stem and fibra tip. stem diameter regarding the silicone is 0.6 mm, 0.5 gr and above is 0.7 mm diameter. 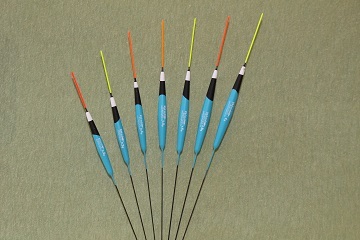 This float is 'pencil' style which is perfect for canals and waters with very little flow. Just under the bristle, there is a white stripe on the neck which is easy to spot when the bait is lifting up. Very stable but extremely sensitive. 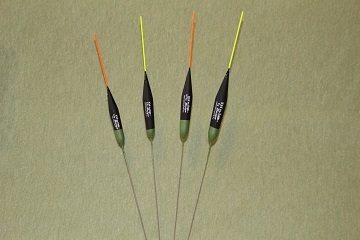 Wire stem with highly visible plastic bristle (1 mm diameter). 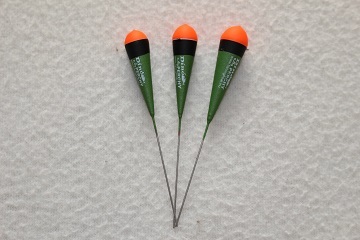 Similar like the Chi-chi pattern but with a bit of neck, so perfect for sensitive bites.Wire stem and hollow bristle. 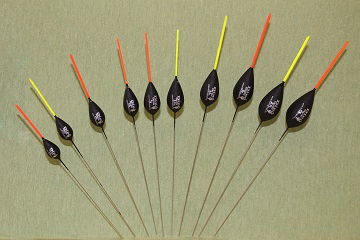 Favorit is new for 2014.Designed for canal fishing, especially for skimmers. great on the track because you can hold it back easily.Plastic tip and wire stem makes it stable. stem diameter regarding the silicone is 0.6 mm. 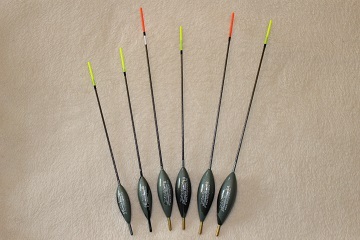 Core is new for 2014!Designed for canal skimmer fishing, especially on the far bank with the smaller sizes because they are shorter floats but well balanced and when you have tow with the bigger sizes. Plastic tip and wire stem. stem diameter regarding the silicone is 0.6 mm. New for 2014! 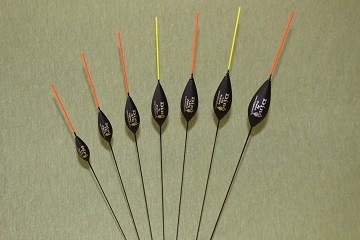 Nelly will be favorit for many in roach fishing on the canal.Very sensitive with fibra tip and wire stem makes it very well balanced, stable float. stem diameter regarding the silicone is 0.6 mm diameter. 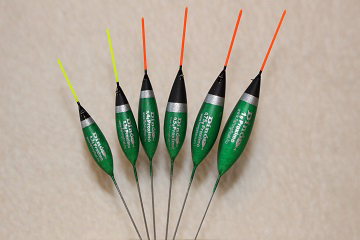 New for 2014!Based on one old Colmic pattern (discountinued) this pencil shape , long pattern great for whip fishing, or in deep lake for silvers. Long 1.5mm hollow bristle, side eye and carbon stem. stem diameter regarding the silicone is 0.6 mm diameter. New for 2015! 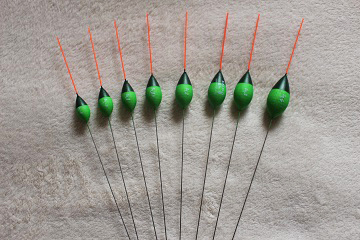 Designed for canal-perch fishing but also great for dibber work using big bait like worm in shallow as the float not self cocked so need extra weight to put on. Wire stem and storng balsa body, side eye. New for 2015! 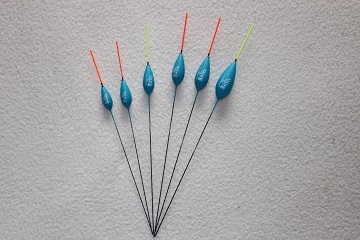 As the float name is this pattern designed for canal-squatt fishing.Perfect pencil shape, wire stem , side eye and fibra tip. 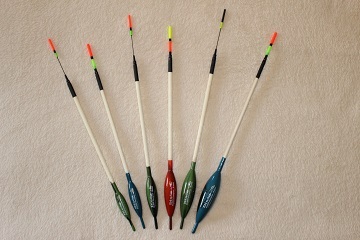 Also great for pinki, the bigger sizes for whip fishing. 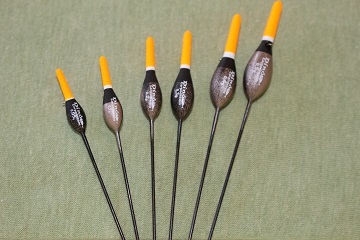 great all round pattern for anglers who need sensibility.Carbon stem and plastic tip. Also popular float in Ireland. Using top anlglers like Cathal Hughes and Phil Jackson! 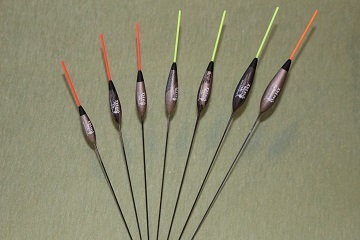 great roach float, fibra tip and carbon stem, same looking as drennan roach floats wihich discontinued. Very sensitive, ideal for lakes, slow rivers, like Avon. carbon stem and thin fibra tip. One of the best "fish to hand" pattern. ideal on whip, slow rivers. wire stem and plastic tip. 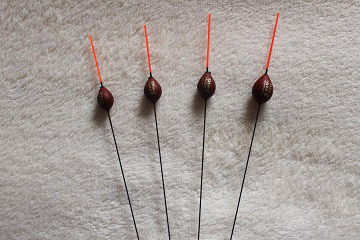 Finest carp fishing pole floats are perfectly ideal for smaller baits like caster, maggot, pinki, bloodworm, smaller hook-pellet. For shallow or middle-deep water. 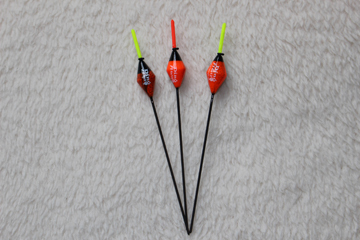 There are developed for carassio, finest carp and bream fishing.Wire stem,wire eye on the side of the body,highly visible plastic tip (red or yellow coloured ). stem diameter regarding the silicone is 0.6 mm, 0.8 gr and above is 0.7 mm diameter. Finest carp fishing pole floats are perfectly ideal for smaller baits like caster, maggot, pinki, bloodworm, smaller hook-pellet. For shallow or middle-deep water. 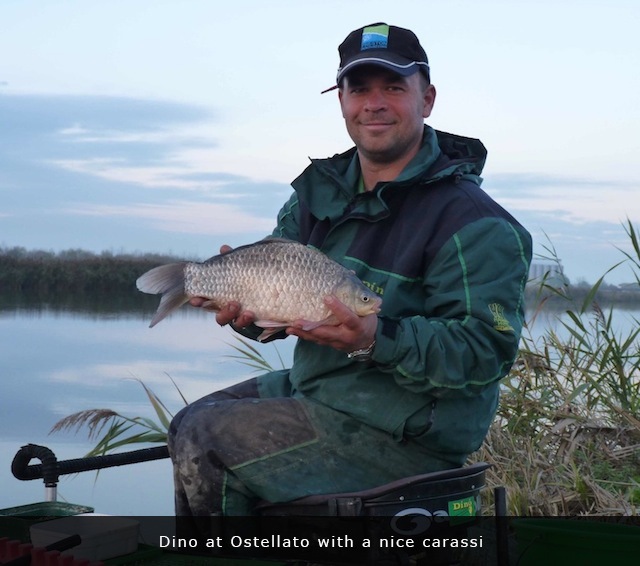 There are developed for carassio, finest carp and bream fishing, wire stem,wire eye on the side of the body, highly visible plastic tip (red or orange or yellow coloured). stem diameter regarding the silicone is 0.6 mm, 0.8 gr and above is 0.7 mm diameter. Finest carp fishing pole floats are perfectly ideal for smaller baits like caster, maggot, pinki, bloodworm, smaller hook-pellet. For shallow or middle-deep water. 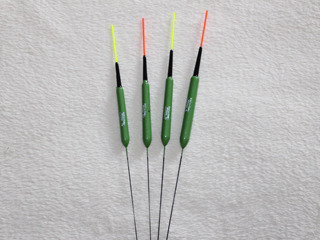 There are developed for carassio, finest carp and bream fishing, long fibra stem, spring eye around the tip, highly visible plastic tip (red or yellow coloured ). stem diameter regarding the silicone is 1.0 mm. Finest carp fishing pole floats are perfectly ideal for smaller baits like caster, maggot, pinki, bloodworm, smaller hook-pellet. For shallow or middle-deep water. 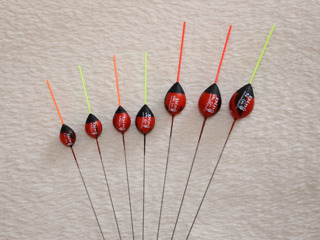 There are developed for carassio, finest carp and bream fishing,long carbon stem, highly visible long plastic tip (red or orange or yellow coloured ). stem diameter regarding the silicone is 0.8 mm. 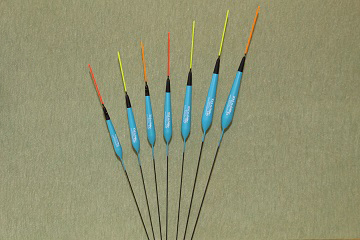 It`s made to the very highest standards and designed for finesse fishing. Gino is a slim bodied float with highly visible (1 mm diameter) hollow bristle, side eye on the body and unbreakable black fibra stem. It could be highly popular because of its versatility. In the smaller sizes it is excellent for maggot, corn and pellet and in its heavier sizes it`s a stable deeper water pole float. 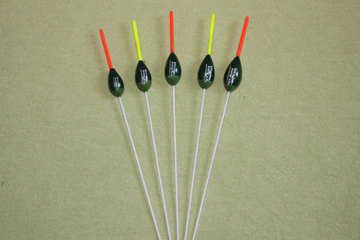 Strong, but sensitive pencil float, perfect for pellet fishing or any bigger baits. 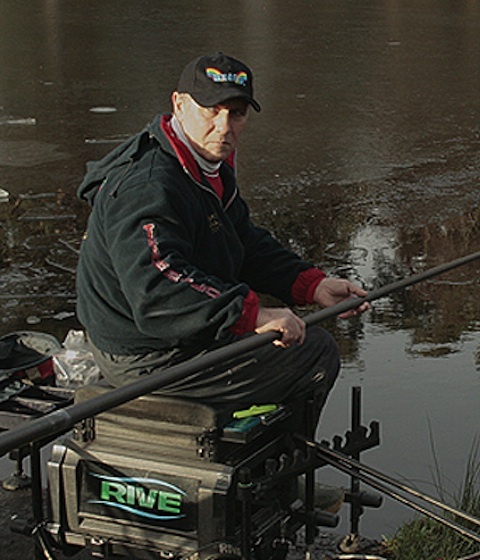 The slim body gives very little resistance to the fish or on the strike. 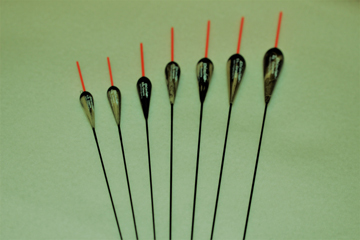 The highly visible plastic bristle (1.8 mm diameter) is easy to shot .The thick black fibra stem makes the float stable and extremely strong. stem diameter regarding the silicone is 0.8 mm. 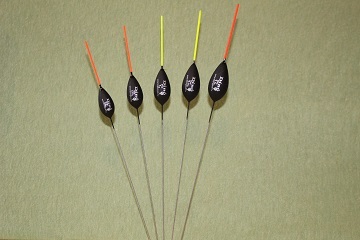 Pencil shaped pellet float, developed for pellet fishing. 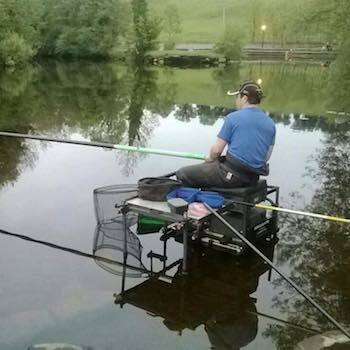 One of the best patterns for F1 fishing. 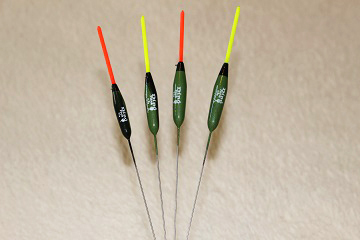 The 1.2 mm hollow tip, finesse spring-eye and solid wire stem make it a very stable and fast float. York is our newly designed pellet float. 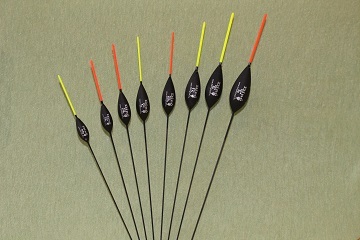 1.8 mm diameter hollow bristle, heavily glued side eye and solid wire stem, nicely varnished balsa-body makes the floats strong and stable. stem diameter regarding the silicone is 0.8 mm. New for 2014!! Our strong luncheon-meat float designed with well-known anglers. Made with white fibreglass stem (right through the body plus 1 cm inside the hollow tip) and 2.5 cm hollow tip with diameter 2.5 mm and with heavily glued side eye. Nicely varnished finish on the body. stem diameter regarding the silicone is 1.0 mm. Our new float for the end of 2014 is the F1. 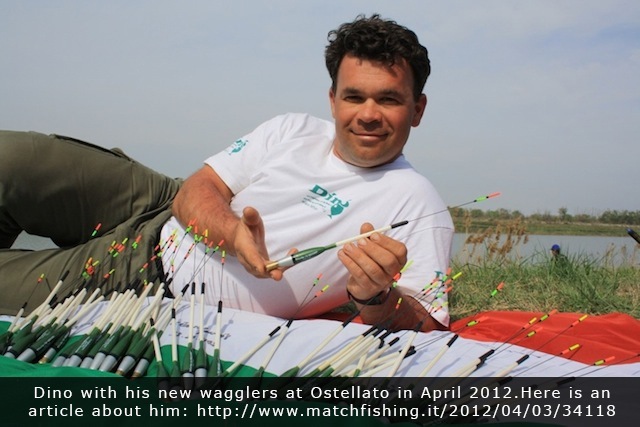 Great pattern for shallow fishing for F1 with maggott etc. Carbon stem (65mm long) goes right through the body into the tip. Tip is 1.5mm diameter hollow tip with the lenght of 12mm. Made with plastic eye at the bottom of the tip. 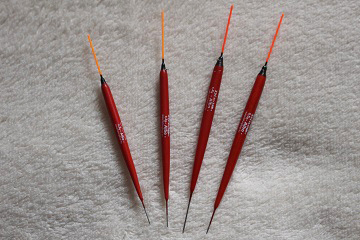 Excellent dibber float for margin fishing,fibra stem,wire eye on the side of the body, highly visible orange coloured balsa-wood bristle. stem diameter regarding the silicone is 1.0 mm. 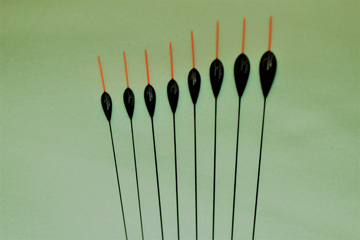 Excellent inline-dibber float for margin fishing,fibra stem, highly visible orange coloured balsa-wood bristle. stem diameter regarding the silicone is 1.0 mm. This is our newly designed margin float. This float could be popular for fishing down the edge. 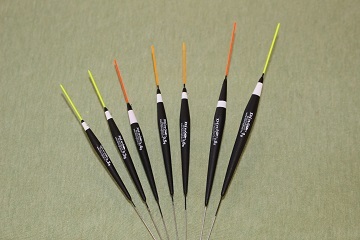 High quality spring eye used on the short (2 cm) hollow bristle (2 mm diameter). Nice paint finish on the ball shaped body. Unbreakable 1.0 mm black glass stem which goes through the body and finishes in more than half way in the hollow bristle. Our newly designed margin float is really strong and fast. Made with 2 mm hollow tip, heavily glued side eye, solid wire stem. The best floats for slapping, new in 2014! !Heavily glued side eye plus thich-strong wire stem. Self-cocking, no additional weight required, only the bait. stem diameter regarding the silicone is 0.6 mm diameter. New for 2015! Designed for snake lakes, also great to fish the mud line. 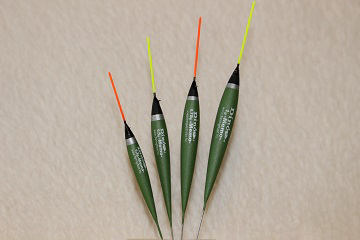 Made from extremly hard FOAM, also an inline model with fibra stem and 2 mm diameter 25mm long hollow tip. It will be strong as STEEL. 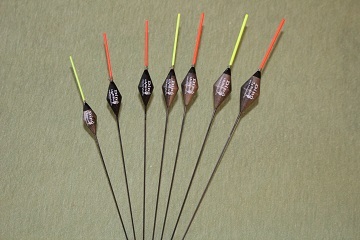 Right reserved , eternal, unbelievably strong carp float for the bigger baits(paste, pellets)! 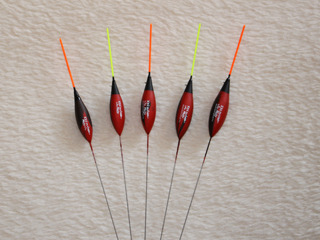 Made of strong materials : carbon stem and hollow tip (red or yellow coloured ) built in the short shape. 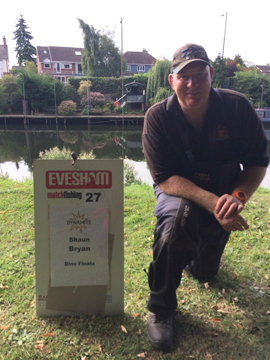 Ideal for carpodrom lakes and big fish catching everywhere. 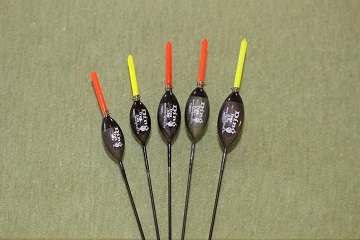 Especially developed for heavy type fishing with solid and sensitive float! stem diameter regarding the silicone is 1.0 mm, above 0.5 gr is 1.2 mm diameter. Great river floats. Thick wire stem, long and thick hollow bristle. 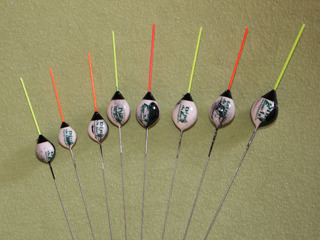 Great river float, inline, carbon stem, hollow tip. stem diameter regarding the silicone is 0.8 mm, 3.5 gr and above is 1.0 mm diameter. 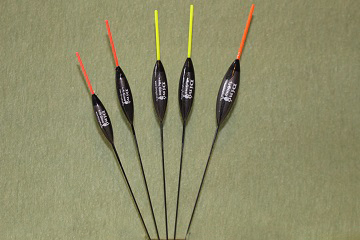 This is a great "line in the hand" fishing floats.Short wire stem and thich hollow bristle.the 5 and 6 gr sizes has doubled (red and yellow) hollow bristle and long sarbon stem for make it more stable. 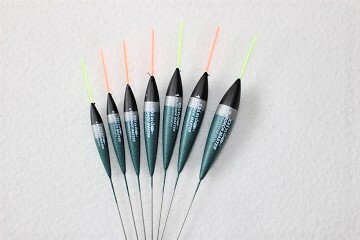 Designed for bolo fishing, long carbon stem and highly visible plastic tip for sensitive fishing. 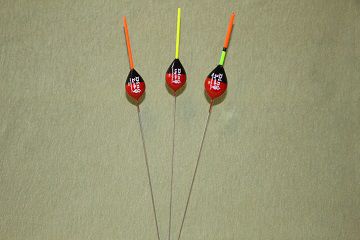 This brilliant float designed for bolo foshing on the pole, long carbon them and highly visible plastic tip. 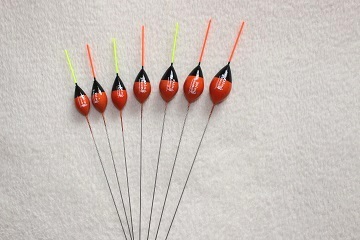 Our product is excellent for middle- and long distance fishing. Balsa body and peacock with copper lamellas. It comes with 3 different bristle: 3 mm and 5 mm hollow and a carbon with plastic. 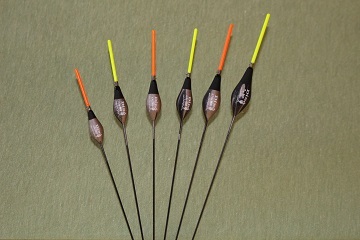 It can use with hard match rod for a hard and big bait. 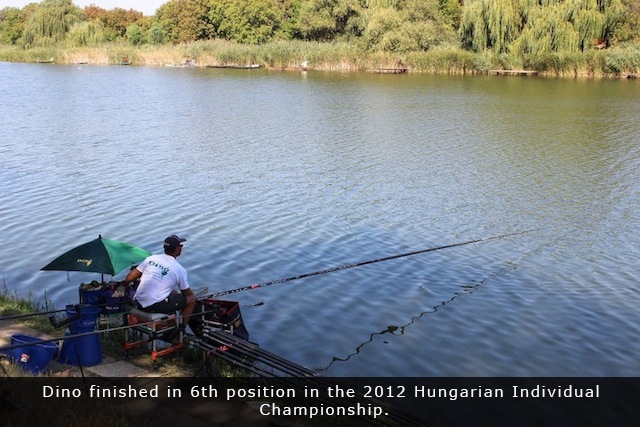 Ideal for carpodrom fishing competition. 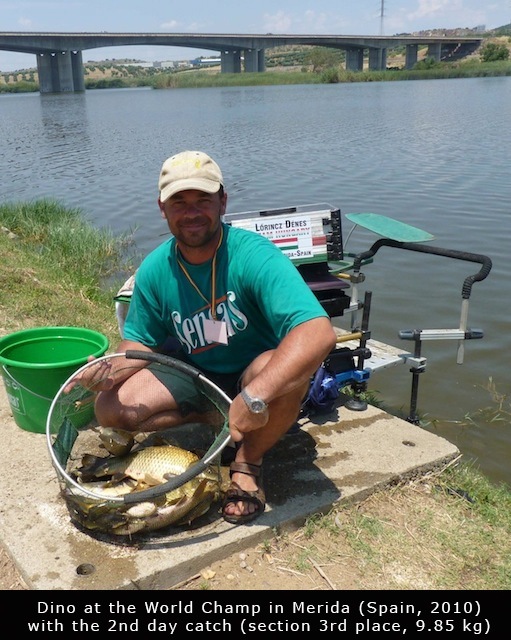 Slider Champion Bream is the most useful slider for deep-water bream fishing. Balsa body-peacock stem, interchangeble bristles. 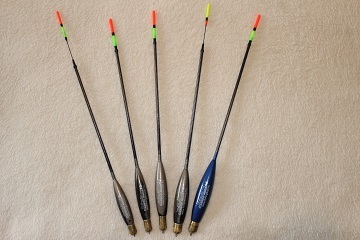 Great waggler for distance fishing.2 different tips included.Adjustable weight. 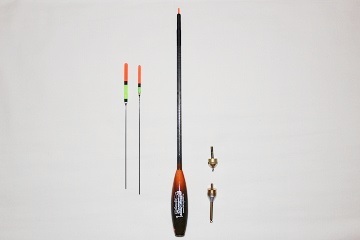 Carbon slider is one of the best slider on the market.Long carbon stem, changeable tip, balsa body and copper weight on the bottom.Casts straight, flies as an arrow. 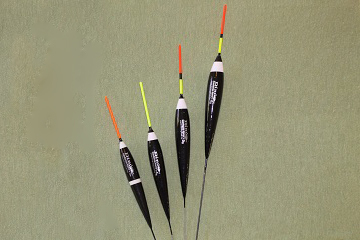 Master is a brilliant waggler for distance fishing with short peacock tip, 2 different hollow bristle and adjustable weight in the body. 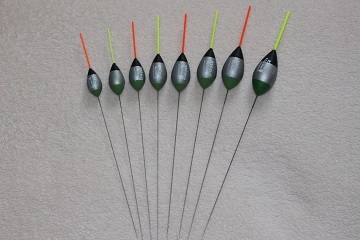 new floats which can be used as a waggler or can be used as a slider, comes with a slider attachement, also with a waggler attachement (both attachement has lamellas, so easy to change them) plus with 2 different tips as seen on photo. foam body, carbon stem(tube) and attached/glued peacock insert. this makes the floats extremly sensitive. 2 sizes available at the momment, 12 gr means 6gr own weight plus needs 6 gr extra to put on. 16 gr: 8 gr own weight plus needs 8 gr extra to put on. 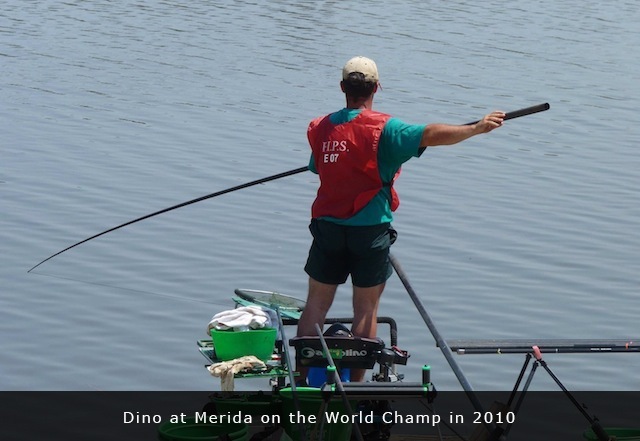 Ian Dixon's comment: the first thing that struck me overall about Dino's range, was the thoughtfulness that went into the build and finish of his floats. It's something I've not encountered for sometime and his Dralion float, in particular, was impressive by anyone's standard. In fact, I'm yet to find fault with what I see as I become more familiar with other patterns in Dino's range. I'm delighted to be associated with such quality products. Watch out for the NEW 'Sedge' float, coming soon. It's fantastic and ticks many boxes when it comes to the perfect margin float! I am very excited at the opportunity to join the Dino Floats Team. The floats are without doubt the best i have come across. They are strong, robust and the build quality is exceptionally high. I am looking forward to getting together with other members of the team and designing some new patterns. 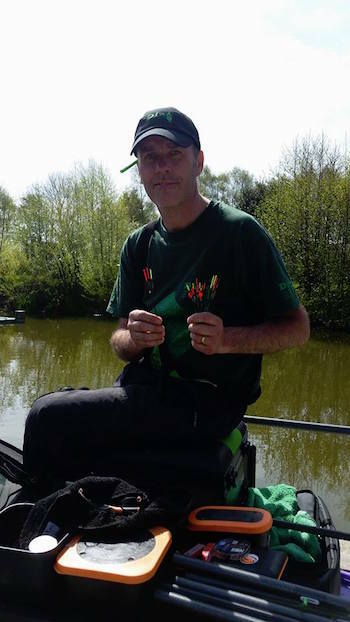 My name is Carl Shepherdson I also fish for Browning UK, I have used Dino floats for some time now and was very impressed the first time I saw them. 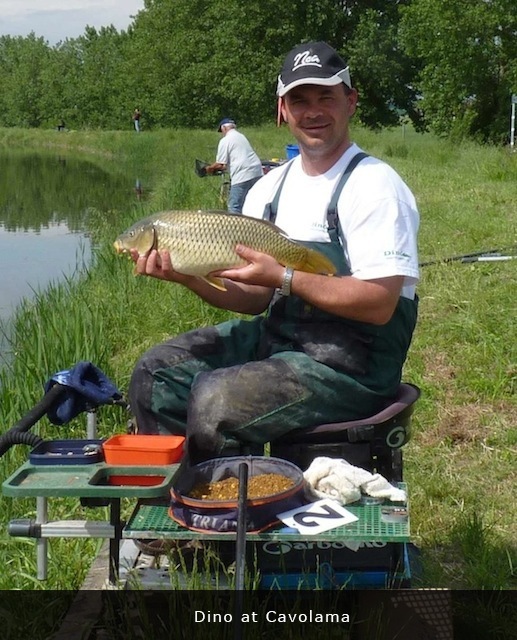 I fish my local and Scottish circuits so waters, depths and species vary greatly, I have used several patters now with great success my favourite being The Belge. 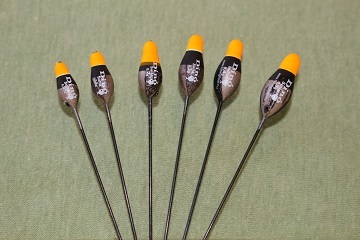 The build quality and finish of Dino floats are superb I advise anglers to take a look through the range their will be a pattern to suit. I look forward to working with the whole team at Dino. 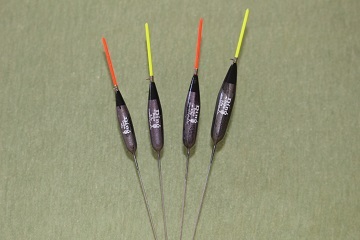 The reason I would like to use Dino floats is because the patterns you have a perfect for my type of fishing, the Dino champion is a float I have heard a lot about, and I would be interested in using it, the slim line patterns are perfect for whipp fishing and fishing on the drop which would suit the lakes around here because there is great on the drop fishing with casters! 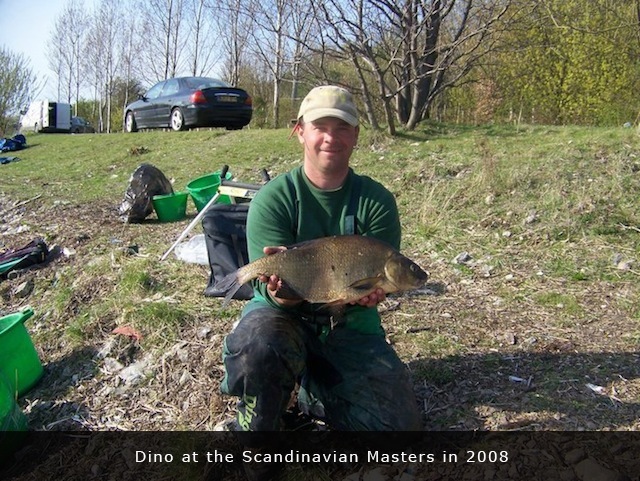 I use Dino floats since a couple of years now, mostly for carp and F1, very happy with them. In the terms of trading 'Company', 'We', 'Us', 'Our' shall refer to The Best Floats. All orders are subject to acceptance of the terms and conditions set out below. Fulfilment of orders is subject to stock availability, and although we will make every effort to fulfil all orders, we will not be held responsible for any loss or damages caused by late delivery or failure to deliver. We reserve the right to decline any order placed. The company will be under no liability for any loss or damage howsoever arising from the use or conversion of the goods supplied and the customer shall indemnify the company in respect of any claim brought by a third party in respect of such loss or damage, providing always that nothing herein shall exclude, or purport to exclude, any liability of the company where such exclusion of liability is prohibited, void, or unenforceable under English law. Dispatch is within 24 hours. Estimated delivery is 2-3 working days. (Estimated delivery dates include dispatch time, and will depend on postal service selected and receipt of cleared payment. Delivery times may vary, especially during peak periods.) Delivery is restricted to U.K. mainland (not Northern Ireland). All other destinations: subject to our quotation. Items are posted via Royal Mail 1st class signed for service. P&P charge is £2.50 flat rate. If goods are lost by Royal Mail then we are unable to claim for these until 15 working days have passed from posting. We will only replace these goods once Royal Mail has accepted liability for the goods going missing. Working days do not include weekends and bank holidays. You must then return all goods (including any free offers etc.) to us in as delivered condition (unopened, undamaged), with all receipts and proof of purchase at your own expense within 4 days of cancellation. You must notify us in written format by e-mail within 3 days of delivery if goods are faulty or damaged in any way. We will instruct you as to further action. Any costs incurred by yourself on faulty returned goods will be refunded to you. Any carriage costs incurred by us on goods found not to be faulty on inspection by us will be charged to yourself. We will refund your money when you have exercised your right to cancel as in section 6, or the goods are faulty. We cannot offer refunds if you do not return the goods with proof of purchase within 4 days of notification of return to us, or when goods are damaged by abuse. We do not release any details given to ourselves by you for any purpose other than for any credit or other checks needed to process your order. Any encrypted, electronically transmitted credit card details are held by our processing agents in a secure system and not passed to us. 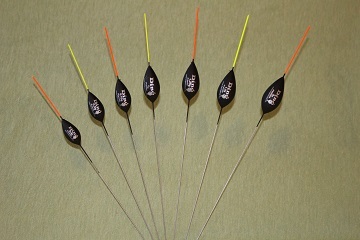 Name: Reids Tackle - THE WHOLE FLOAT RANGE AVAILABLE IN THEIR WEBSHOP!! !